An attorney told her that the FDA learned about her business when a Wisconsin man named Jeffrey Smith was arrested in February 2018 for allegedly slipping mifepristone into the drink of a woman who was pregnant with their child. Smith had twice ordered packages from Wing’s site, according to police documents. He has pleaded not guilty to attempted first-degree homicide of an unborn child. Wing is still waiting to be indicted. While Wing’s fate remains uncertain, the case illustrates the void of abortion care and increasing desperation in a country where politicians are determined to squash reproductive freedom. Wing’s case could have major implications not just for her, but her customers, too. New York, where Wing lives, recently amended the state’s abortion law which, among other major reforms, decriminalized self-induced abortion. But at least six other states continue to criminalize self-managed abortions, and 25 states have laws that could ultimately send a person to jail for self-managing their abortion. 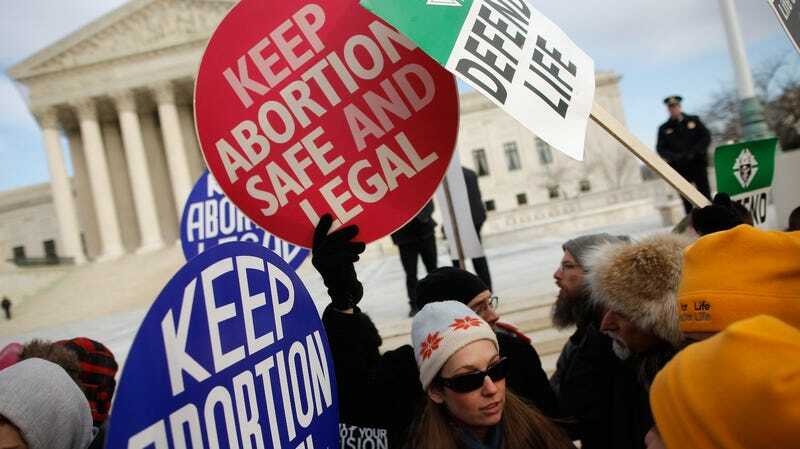 “Recent cases demonstrate that... law enforcement officials who seek to take a political stand against abortion would rely on any laws that might be applicable to arrest and potentially prosecute people who self-manage abortion,” states a recent report by the Guttmacher Institute. But, like all aspects of abortion in America, administration of the pills are tightly regulated. Guttmacher points out that “[u]nlike virtually any other medication, mifepristone cannot be distributed to or dispensed at pharmacies.” The only way to access the pills are via licensed providers, who face an increasing number of obstacles to provide the medication: According to Guttmacher, 34 states prohibit qualified providers, like physician assistants and advanced practice nurses, from administering the pills, limiting medication abortions to physicians. And 19 states require that the physician must be present during the administration of the drug, meaning that patients who can’t afford to travel, or wait for an appointment, can’t access the drug. Increasingly, anti-abortion legislators—who are finding new ways to wipe out abortion clinics across the country—are seeking to ban medication abortion altogether. The other option for people seeking medication abortions is the Internet. Buying pills on the internet is riskier, but as research has shown, people who want an abortion are going to continue to find ways to terminate their pregnancies. A report by Plan C, a website that offers information on self-managed abortion, found Wing’s pills to be the safest among those they reviewed. Wing offered a bootleg version of the type of service that could be the future of abortion. But we are very much trapped in the present: as she awaits indictment, America is becoming more of an abortion desert, and people are running out of options.